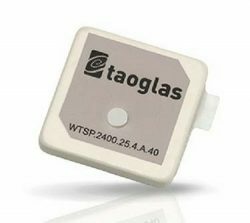 Taoglas, a provider of IoT and automotive antenna and RF solutions, has introduced its patent-pending Terrablast range of antennas. The polymer-based patch antennas are 30 percent lighter than their ceramic counterparts and extremely resistant to fracture upon impact. Terrablast antennas are designed for the automotive and unmanned aerial vehicle (UAV) markets, where impacts are possible but antenna performance cannot be compromised. Unlike traditional patch antennas, which are ceramic, Terrablast uses a new class of Taoglas polymer dielectric material composed of glass-reinforced epoxy laminate. The addition of the polymer to the blend makes the antenna extremely lightweight, yet impact resistant, the company said. The Terrablast antennas are designed to withstand drops, falls and impacts, and are designed for applications such as UAVs, where the antenna’s mechanical robustness following potential impact is critical. The Terrablast patch antennas are also typically 30-35 percent lighter than traditional patches. In drone applications, where weight over battery life is critical — each gram reduced enhances battery life. The first antennas in the Terrablast range are a 25-mm embedded 2.4 GHz patch antenna and a 35-mm embedded GPS patch antenna. The circular polarized design of the 2.4-GHz patch ensures maximum performance for constantly moving mobile applications where the orientation to the transmitter or receiver frequently changes. 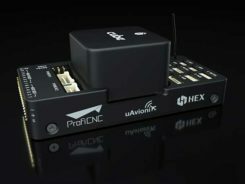 The antenna weighs 5.6 grams compared to an equivalent ceramic patch of 8.5 grams, providing a weight-saving substitute for ceramic patches in UAV applications. The 35-mm GPS/GLONASS/BeiDou patch antenna has extremely high efficiency of more than 70 percent across all bands, improving time to first fix. 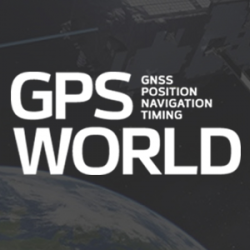 At 10 grams, the 3.5-mm-thick patch is 5.5 grams lighter than typical ceramic GNSS patches.